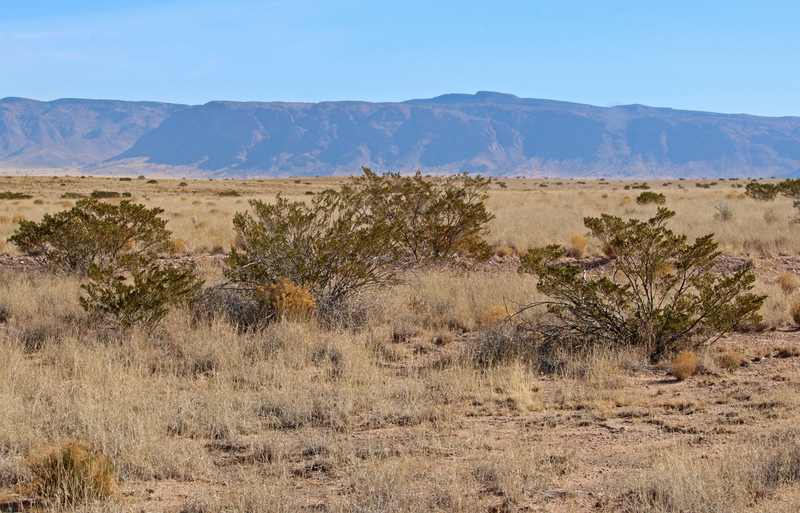 Cold desert biome, Sevilleta LTER, New Mexico. Because of the confluence of these major biotic zones, the Sevilleta NWR presents an ideal setting to investigate how climate variability and climate change act together to affect ecosystem dynamics at biotic transition zones. 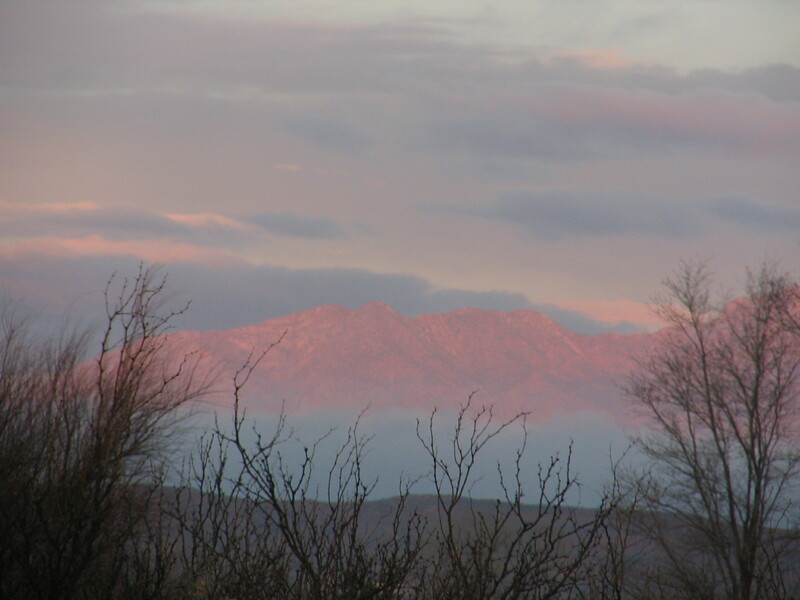 Moreover, the rapid growth and expansion of the City of Albuquerque and its suburbs to the north increasingly will have an impact on ecosystem processes at the Sevilleta, and these urban forces will interact with climatic variation to catalyze change in this aridland region. Key Abiotic Drivers: A pervasive limiting resource in these aridland ecosystems is water. 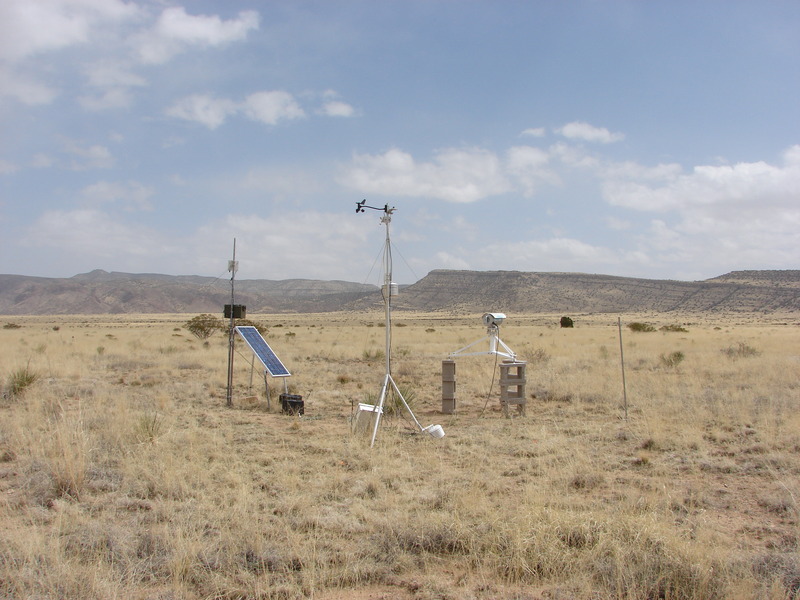 In central New Mexico, precipitation inputs vary seasonally, annually and on decadal time scales. In the southwestern US, the amount and timing of seasonal and annual precipitation are influenced by two major climate cycles, the El Niño Southern Oscillation (ENSO) and the Pacific Decadal Oscillation (PDO). ENSO regulates variability in winter precipitation with high precipitation occurring during El Niño periods, and low precipitation during La Niña periods. ENSO events typically occur every 3-4 years and usually last only through one winter season. More recently it has been suggested that a longer-term climatic event, the Pacific Decadal Oscillation, may have profound effects on regional climate in the southwestern United States (Gutzler et al. 2002). The PDO, which oscillates on approximately 50-year cycles, modulates ENSO events and it may be the cause of periodic, extended, severe droughts in the region (Milne et al. in press). Precipitation patterns for central New Mexico from 1900-1999. Note the regional drought during the 1950s was characterized by low precipitation in both summer and winter seasons. Available soil moisture is not only a function of precipitation inputs but also temperature. Mean annual temperature from 1989-2002 at the Deep Well meteorological station on McKenzie Flats, a grassland site on the Sevilleta, is 13.2° C, with a low of 1.6°C in January and a high of 25.1°C in July. 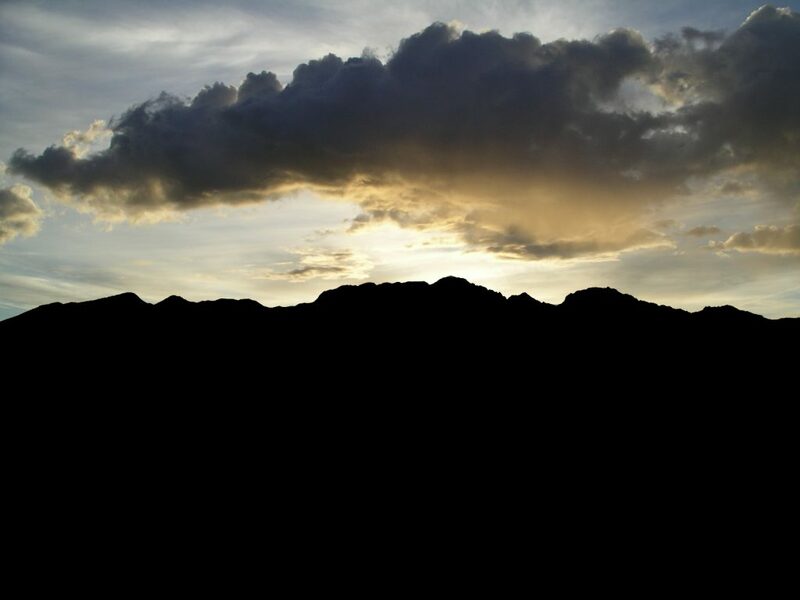 In addition, this site receives approximately 250 mm of precipitation annually, about 60% of which falls during the summer monsoon season from June through September and the remainder primarily from winter frontal systems. However, the relative contribution of summer monsoon and winter rains varies from year to year, creating a highly variable seasonal pattern of water inputs from year to year. A climate diagram based on data from Socorro, NM, south of the Sevilleta shows that on average, the lower elevations in this region are in moisture deficit most of the year, with potential surpluses only during August, December, and January. In the piñon-juniper woodlands in the upper elevations of the Los Piños Mountains east of the Deep Well site, annual precipitation is about 365 mm and average annual temperature is 12.7°C with a low of 2.5°C in January and a high of 23.0°C in July. At this upper elevation site, there is a longer annual period of water surplus, on average, than in the lower elevation grasslands at the base of the mountains. Key Biotic Transitions: Over the past two decades, one of the key organizing themes in ecology has been patch dynamics (Pickett and White 1985). Patch dynamics refers to a change in ecological properties within and among patches through time (Pickett and Thompson 1978, White and Pickett 1985). A patch is a discrete, bounded area of any spatial scale that differs from its surroundings in its biotic and abiotic structure and composition (Pickett and Cadenasso 1995). The historical emphasis on patch dynamics has led implicitly to the impression that patch change is driven by relatively consistent internal dynamical phenomena (Pickett et al. 2001). Yet, in some systems, biotic transitions at patch boundaries may be the most dynamic aspects of patches, and processes occurring at boundaries may drive overall patch change (Wiens et al. 1985, Cadenasso et al. 1997, Davies et al. 2001, Peters et al., submitted). In other cases, patches and their boundaries may be highly stable, changing slowly or not at all over ecological time frames (Weltzin and McPherson 1999). To address this variability and interaction, we developed a new conceptual framework for interactions at patch boundaries from which we derive testable hypotheses for studies of patch dynamics along biotic transitions, a term that we use to include boundaries at all scales (Peters et al. submitted). We use this framework to structure our LTER research along the three transition zones described below. A biotic transition consists of two states (A, B) with a boundary between them. The boundary consists of patches from both states that vary in size, type, spatial configuration, and degree of connectivity. The model is applicable across a range of spatial scales, such as individual plants where the boundary consists of root or leaf patches from each plant, assemblages of plants where the boundary consists of patches of individual plants of one species interacting with plants of a different species from an adjacent patch, associations or groups of plant assemblages where each assemblage dominated by one species is a patch, and the boundary consists of these interacting groups of plants, and landscapes consisting of a mosaic of boundaries and states at all smaller scales. 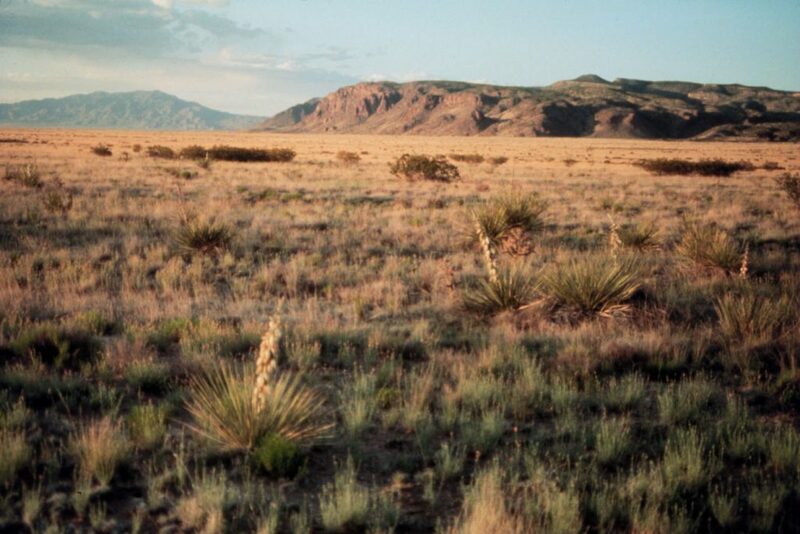 Grassland and Shrubland Transitions Grassland to shrubland transitions are occurring throughout the southwestern United States in response to a variety of biotic and abiotic drivers (Archer 1989, Schlesinger et al. 1990). 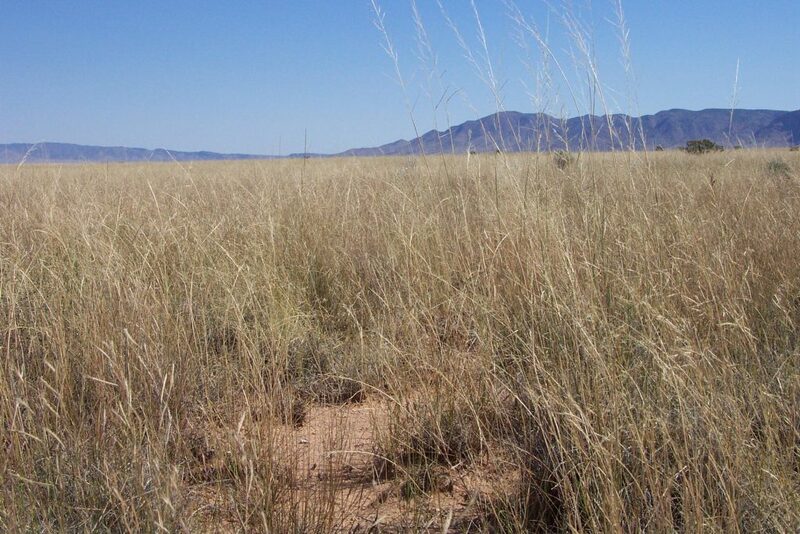 At the SEV LTER, the biotic transition that has been, and will remain, the major focus of our research is from blue grama (Bouteloua gracilis)-dominated grassland to Chihuahuan desert vegetation including black grama (B. eriopoda) grassland and creosote (Larrea tridentata) shrubland on McKenzie Flats. Essentially, these three species form nearly monodominant patches that represent the end-member states of a complex array of patch types and animal species comprising this relatively abrupt transition zone. In addition to pervasive water deficits noted above, the grassland to shrubland transition occurs on extremely nutrient poor soils. In a cross-site study of 13 ecosystems ranging from alpine tundra to tropical forest (Zak et al. 1994), the grassland site at the Sevilleta was found to have the lowest total soil N, lowest N mineralization rate and lowest soil carbon of all 13 sites in the study. Originally, we hypothesized that the dynamics of the grassland to shrubland transition were driven by ENSO events. However, after three such events since the start of the LTER in 1989, there is little evidence that directional change is occurring across this biotic transition zone in response to El Niño or La Niña cycles (Li 2000, 2002). Another mechanism contributing to stasis along this transition zone is population declines in burrow-forming mammals, such as prairie dogs and kangaroo rats. More recently, fire has been incorporated as a management tool in the Sevilleta National Wildlife Refuge, and we will be extending our research activities to assess the interactions of fire, animals and longer-term climate variation on this grassland to shrubland transition. Piñon-Juniper Woodland Transitions: The savanna to woodland transition occurs along an elevation gradient on the north end of the Los Pinos Mountains. This transition zone was part of the original Sevilleta LTER program in 1989, but activities there were reduced over time. This transition begins with savanna characterized by scattered individuals of Juniperus monosperma and a dense understory of perennial grasses (primarily Sporobolis spp.) to woodland of J. monosperma and Pinus edulis with a sparse herbaceous understory. In the piñon-juniper woodland, total soil nitrogen and carbon are comparable to levels in other sites across North America, but like in the grassland on McKenzie Flats, nitrogen mineralization rates in PJ soils are extremely low (Zak et al. 1994). Originally, we hypothesized that the elevational boundary between savanna and woodland was a function of occasional periods of extreme drought. 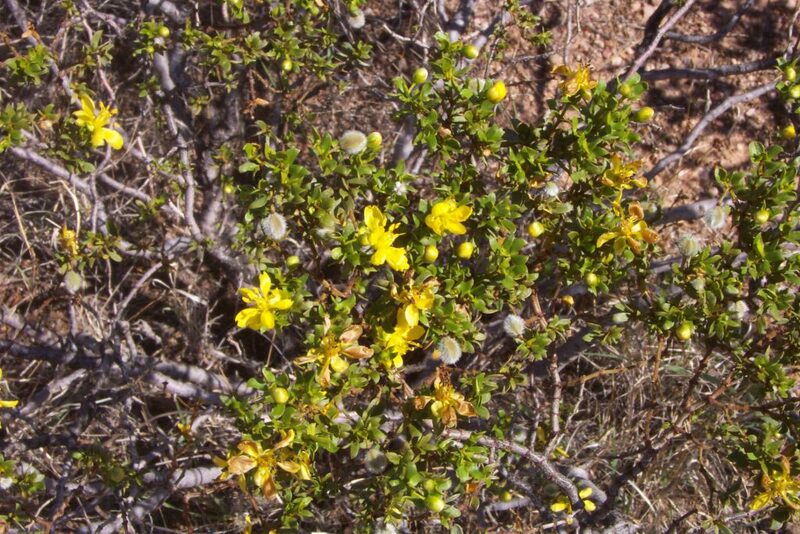 Evidence supporting this hypothesis can be found in the dead juniper carcasses located at the foothills of the Los Pinos Mountains on the east side of the Sevilleta NWR. It is now believed that these long, severe droughts are the product of the PDO, which is hypothesized to have a return interval of 52+11 years (Milne et al, in press). Currently, the southwestern US is experiencing a severe and prolonged drought, which has many of the characteristics of that experienced in the early 1950's, and a massive die-off of pines and juniper is occurring throughout the region. Bark beetles and fungal pathogens help to increase tree mortality as individuals are weakened by drought. Circumstantial evidence from fertilization experiments at the Sevilleta suggests that piñon mortality rates may be higher in areas of greater resource abundance, thus we hypothesize that mortality of patches of pines may be exacerbated by regional patterns of drought coupled with gradients in atmospheric nitrogen deposition. Overall, this is a significant regional transition that may be part of a long-term cycle from woodland to grassland and back as climate fluctuates on decadal time scales. Riparian Zone Transitions Along the Middle Rio Grande Basin: The Rio Grande, which bisects the State of New Mexico, contains the second largest drainage basin in the southwestern US. Within New Mexico, >60% of the state's population lives along the river and that population is rapidly growing. The Rio Grande provides a considerable amount of surface water for agricultural and other uses and demands on that water are increasing at unprecedented rates (Bartolino and Cole 2002). Ecologically, a dramatic biotic transition within the riparian zone ('bosque') is occurring in the Rio Grande Basin as the native forest of cottonwoods is rapidly being replaced by two widely dispersed non-native species, Russian olive and salt cedar. This transition is creating significant ecological challenges related to state and regional water management and policy (Dahm et al. 2002). 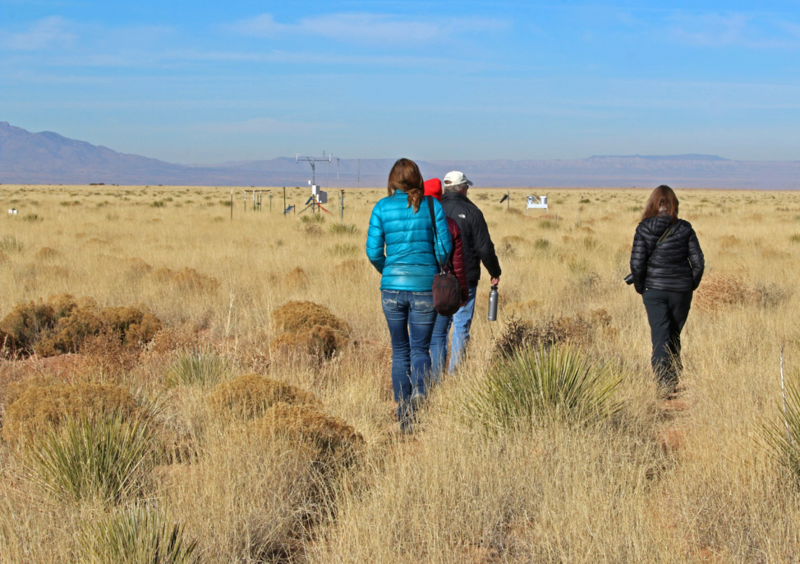 Although the original Sevilleta LTER research program did not extend into the Middle Rio Grande riparian zone, we feel that doing so represents a key opportunity to regionalize the Sevilleta LTER and to address important ecological and management issues in the State of New Mexico. In this case, the middle Rio Grande Basin extends from Otowi Bridge near Santa Fe south through Albuquerque and the Sevilleta to Elephant Butte Reservoir about 150 kilometers south of Albuquerque. Climatically, this region varies from the north where moisture deficits are more severe to the south where there is an increasing period of greater summertime water availability. Historically, changes in these riparian ecosystems were driven by flood frequency and intensity. Now that the river is highly regulated, floods are rare, the hydrologic regime has been drastically altered, and human-caused fires are common. Since 1990, over 50% of the bosque in the Middle Rio Grande basin has burned. We hypothesize that these changes in disturbance regime will enhance rate of replacement of native species, increase evapotranspiration, and reduce nitrogen retention in the riparian zone. Linking Causes, Response Functions & Consequences of Biotic Transition Clearly, each of these biotic transition zones could be the focus of intensive study, but independently, they do not constitute a broadly based LTER research program. Our goal is to balance our efforts between understanding each study system in detail, and addressing questions of broad significance and generality. We need to do the former to understand the mechanisms that operate within each transition zone. 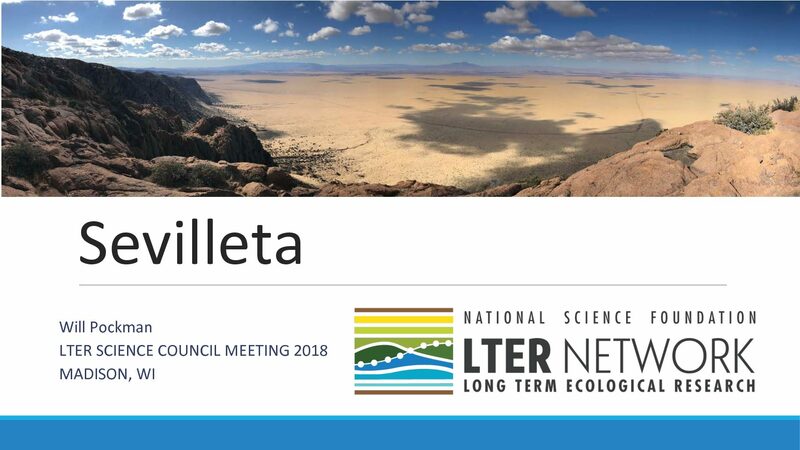 Moreover, as 'research tenants' at the Sevilleta, on land managed by the US Fish and Wildlife Service, we have an obligation to communicate the information we gain on the Sevilleta through LTER research to the Refuge staff. At the same time, we wish to address fundamental ecological issues of broad generality. As a consequence, we believe that our three apparently disparate transition zones are, in fact, linked conceptually, and it is this conceptual linkage that allows us to generalize our research beyond the important goal of simply knowing our sites and systems well. Thus, we have linked our transitions zone research through a series of parallel hypotheses. Over the long term we will address and refine these hypotheses to seek commonalities and differences among systems that we can use to gain further insight into how our systems function as well as comparative insight for broader generality. Hypothesis linking causes, response functions and consequences of a biotic transition from grassland to shrubland. Parallel hypothesis can be derived for other transitions, as well, such as the transition from woodland to grassland in response to regional drought and the transition from native to non-native species along the Rio Grande in response to human alterations of the natural disturbance regime. Integration of Ongoing and Planned Research Projects: We have organized our research efforts around three interrelated system components: abiotic drivers, ecosystem processes and biotic responses and feedbacks. In our case, the main abiotic drivers are (1) seasonal, annual and decadal variations in climate, (2) geomorphology, soil texture and depth, and surface hydrology, and (3) season and periodicity of fire. These abiotic drivers affect biogeochemical cycles, particularly nitrogen, phosphorus and carbon, as well as water storage, use and losses. Biotic responses to the coupling of these abiotic drivers and ecosystem processes include patterns and controls on net primary production, and the distribution, abundance, diversity and dynamics of plant and animal populations and communities. Although there is considerable research linking primary production and plant community structure (Waide et al. 1999, Mittelbach et al. 2001), one of the core activities of the Sevilleta LTER has been investigations of fluxes in NPP and their impact on the distribution and abundance of consumers, particularly small mammal populations (Ernst et al. 2001, Friggens 2003). This has direct relevance to human health issues in response to the regional prevalence and potential outbreaks of vector-borne diseases, such as Hanta and Plague (Yates et al 2003). Patterns & Controls on Net Primary Production: Given that the region including the Sevilleta LTER generally suffers from chronic water and nutrient deficits, we hypothesize that population dynamics in this area are strongly controlled by bottom-up forces, first by water and then by soil nutrients. We do not mean to imply that top-down forces are not important, but we hypothesize that bottom-up forces are significantly stronger than top-down forces. The key biotic driver is net primary production, which varies as a function of temporal availability of moisture coupled with variation in readily accessible nutrients, particularly nitrogen. 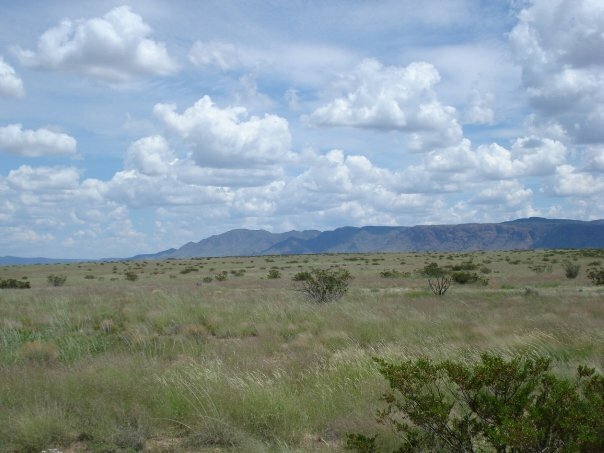 In general, annual NPP of grasslands at the Sevilleta peaks in July-August each year during the period of the North American Monsoon. During intervening dry periods, plant available nitrogen accumulates in these grassland soils. Longer dry periods lead to greater accumulations of plant available nitrogen (Kieft et al. 1998, White et al., submitted), so that interannual fluctuations in net primary production result from differences in water inputs coupled with the length of time of intervening dry periods. As in mesic grasslands, the periodic coupling of abundant soil moisture and nutrients leads to transient bursts in seasonal NPP that cannot be sustained (Seastedt and Knapp 1993). 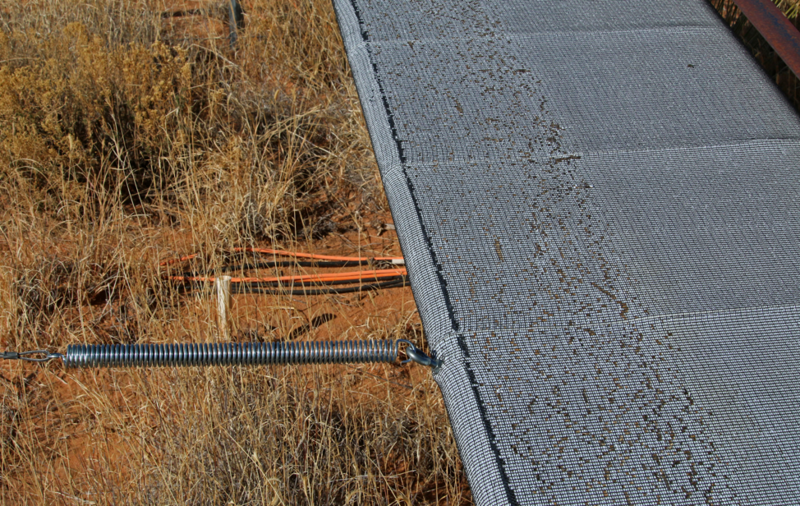 These bursts in NPP then provide the template for extreme population fluxes of small mammals. Population sizes of higher-level consumers, such as coyotes lag behind the population growth of the herbivores in this system. Thus, much of the temporal dynamics in consumer populations appears to be driven by bottom-up forces, followed by rapid declines as NPP declines. Production begins in spring following the winter rains and peaks in July or August as the dominant C4 grasses respond to the North American Monsoon. In general, spring production reflects the growth of C3 species, especially annuals in response to precipitation and perhaps nitrogen availability. Periodic fire, nutrient accumulation, and highly localized monsoonal storms lead to high spatial and temporal variation in summer, and thus annual NPP. Accomplishments: One of the challenges for any LTER site is to seek a balance between understanding the details of a particular research site and addressing a suite of broadly based questions derived from ecological theory. 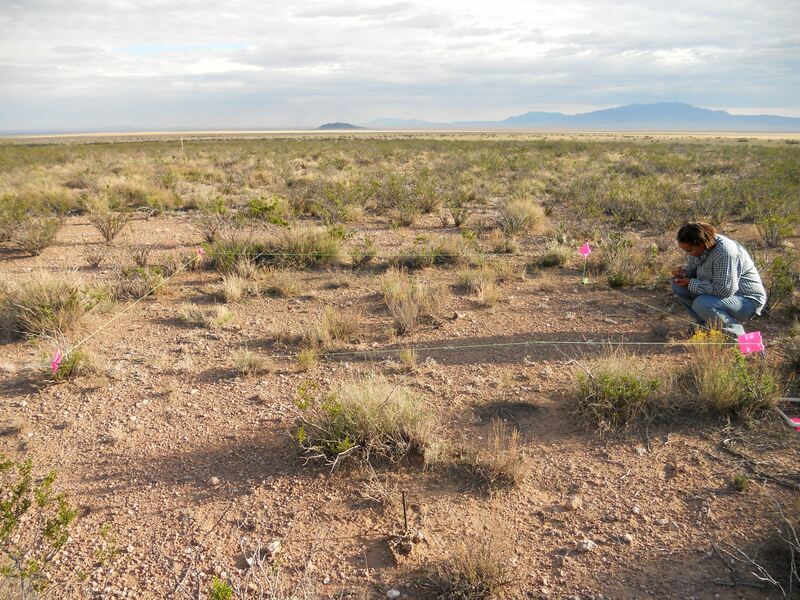 We believe that research at the Sevilleta LTER site has led to a number of significant accomplishments of broad scientific significance and of relevance for the growth and maturation of the SEV LTER Program. Here we highlight several of those accomplishments and then describe our objectives for the next phase of research and development of the program. 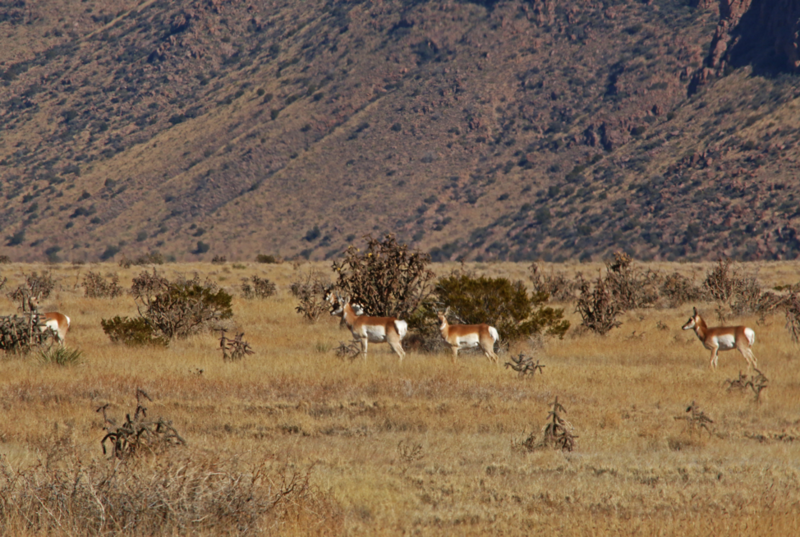 Long-term research at the Sevilleta has documented the considerable resilience of these nutrient-poor, aridland ecosystems to disturbances, such as fire and grazing (e.g., Gosz and Gosz 1996, Ryerson and Parmenter 2001, Peters 2002a,b). The region has a long history of grazing, and in some cases, this has led to significant ecosystem degradation. In addition, the site has experienced several lightening-caused fires over the past 10 years. In both cases, there is clear evidence that species composition, soil resources, and standing crop biomass have returned to predisturbance conditions relatively rapidly (Munson et al., in prep). This resilience is somewhat surprising given the extreme environmental constraints that govern biotic processes in this region. 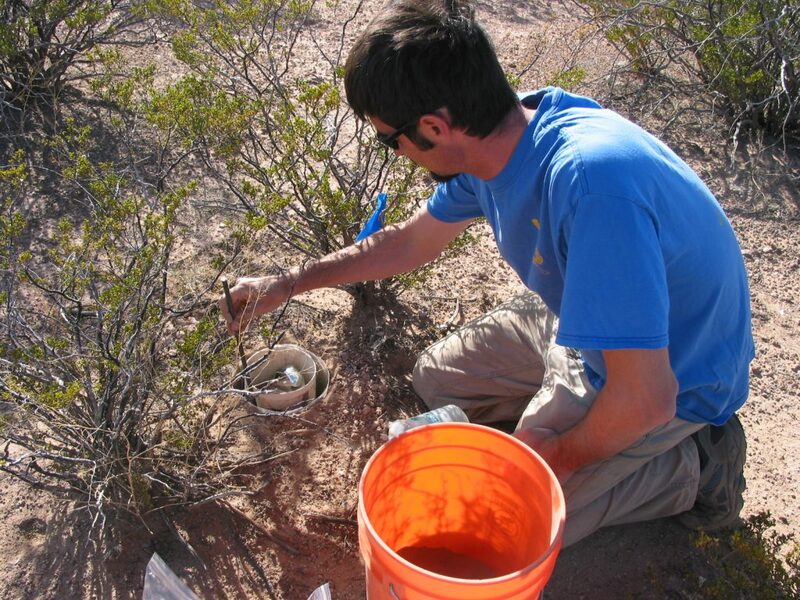 When the Sevilleta began, many thought that biotic transitions in the Southwest would be strongly driven by interannual variation in climate, particularly in response to ENSO events. However, long-term research at the Sevilleta demonstrates that this original ENSO hypothesis is not correct. Not only are these ecosystems resilient over time, but they also appear to be relatively stable across large spatial scales. There is little evidence of large-scale biotic transition being driven by ENSO events (Li 2000, 2002). Detailed mechanistic studies coupled with long-term data led us to conceptualize a broadly applicable general model of biotic transitions that links patch and edge dynamics (Peters et al., submitted). Traditionally, patch dynamics and boundary dynamics have been treated as somewhat independent phenomena. But, in many cases, the dynamics of a patch are explicitly a function of the dynamics of the patch boundary. As landscapes worldwide continue to be modified by human activities, boundaries will be an increasingly important feature of landscapes. Our patch dynamics-boundary dynamics model can provide a framework for understanding the causes and consequences of landscape change in other ecosystems. Through a suite of observational and manipulative experiments, we have gained knowledge that is specific to the Sevilleta study area concerning end-member interactions and dynamics in each of our study systems (e.g., Gosz and Gosz 1996, Peters 2002, Bhark and Small 2003). 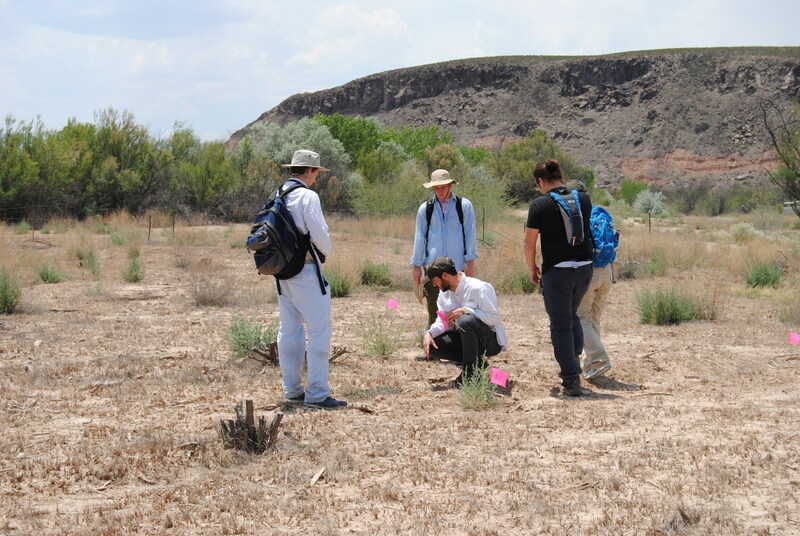 By end-member interactions we mean detailed understanding of pattern and process in core areas dominated by blue grama, black grama, creosote bush, riparian forests, and piñon-juniper woodland. Through this knowledge, we will now begin to expand our efforts into more complex mixtures of species to more fully understand the dynamics of biotic transitions in space and time. Conceptual model of structure-function interactions in and across biotic transition zones. One of the advantages of LTER is the opportunity to establish long-term experimental manipulations that provide the foundation for integrated studies of ecological systems. To that end, we have garnered external funding to initiate a long-term, integrated rainfall manipulation experiment. 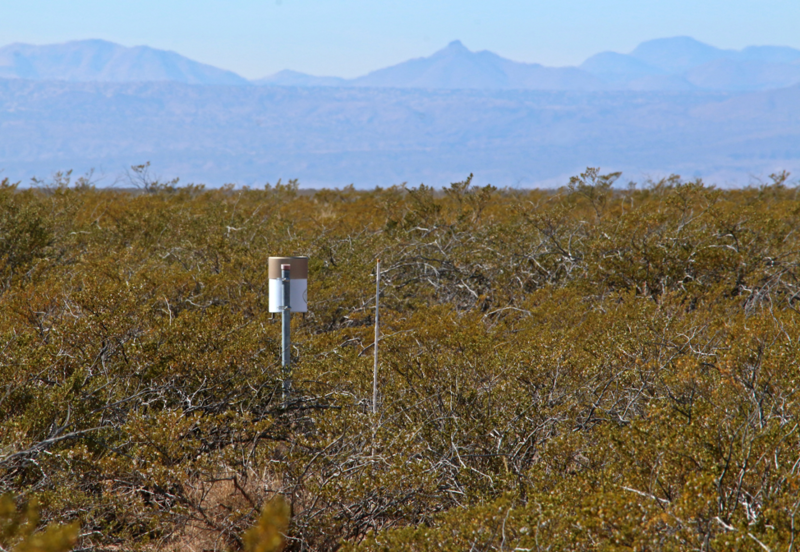 Rainfall manipulation shelters are being used to modify ambient climatic variables to allow us to more fully understand the role of water inputs and fluxes in these arid land ecosystems, as well as how well these ecosystems recover from extended drought. Information Management LTER programs generate a considerable amount of complex data, and information management is one of the key goals of the LTER Network as a whole. The Sevilleta LTER has implemented an information management system fully in compliance with LTER Network goals and objectives. The information manager interacts with researchers from project inception to conclusion to ensure that well-documented, high quality data are archived and made publicly accessible within two years after the project ends. 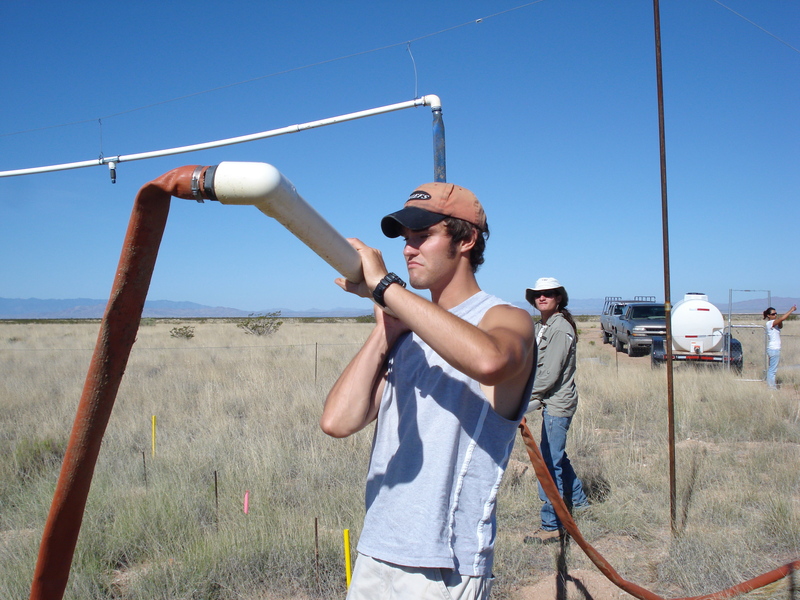 Research at the Sevilleta is supported by a UNIX server offering file, web, and email services as well as software including SAS, ArcGIS and ERDAS Imagine. Synthetic research and educational activities by the broader community of ecological scientists is fostered by Sevilleta contributions to network-level databases such as ClimDB, translation of Sevilleta metadata into EML (the LTER network metadata standard), and participation in research projects such as SEEK, the Scientific Environment for Ecological Knowledge. Sevilleta Schoolyard Program Finally, the Sevilleta LTER is proud of its educationally ambitious and scientifically rigorous Schoolyard LTER Program. 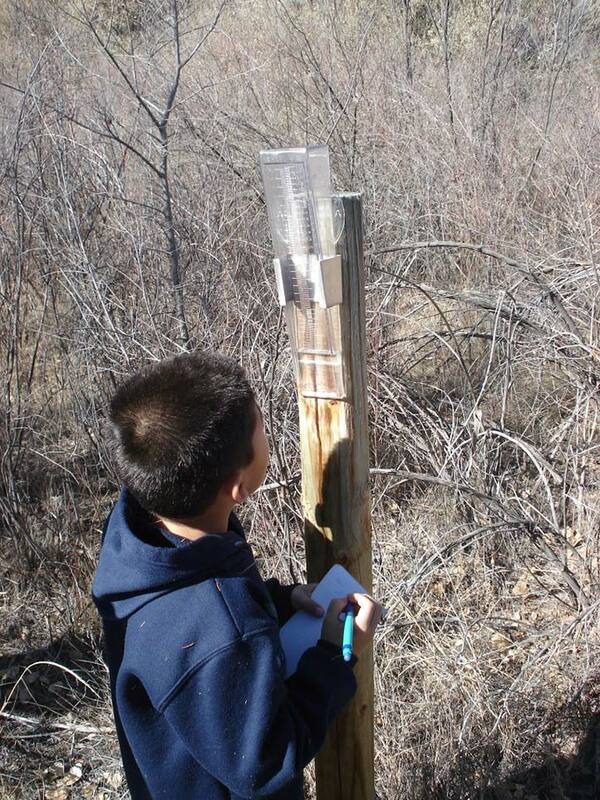 This program, the Bosque Ecosystem Monitoring Program (BEMP), meets national and state educational standards for science education, involves hundreds of students each year, connects K-12 students and teachers with UNM undergraduate interns and faculty, provides a source of curriculum activities for school teachers, and produces scientifically rigorous long-term data on the riparian ecosystems of the middle Rio Grande Basin. Currently, BEMP includes 14 school systems throughout the Middle Rio Grande Basin, including two Indian Pueblo schools, a variety of schools in the City of Albuquerque, plus rural school systems as far south as the Sevilleta. 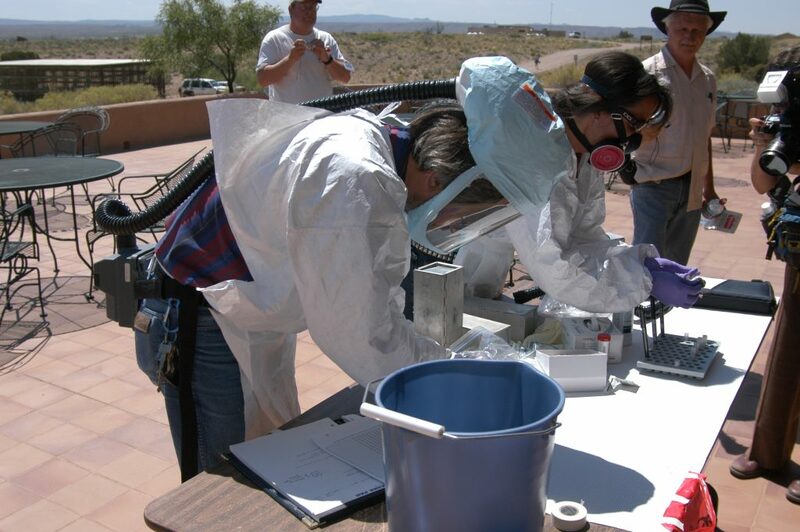 Looking Ahead: Future Goals Together, the research and educational accomplishments of the Sevilleta LTER Program are of national, regional, state and local significance. Where are we going from here? The SEV LTER has a number of scientific and educational objectives that will guide many of our activities over the next decade: New hypotheses. We will derive a new set of hypotheses on the impacts of long-term climate drivers, such as the Pacific Decadal Oscillation, on biotic transitions and ecosystem functioning. 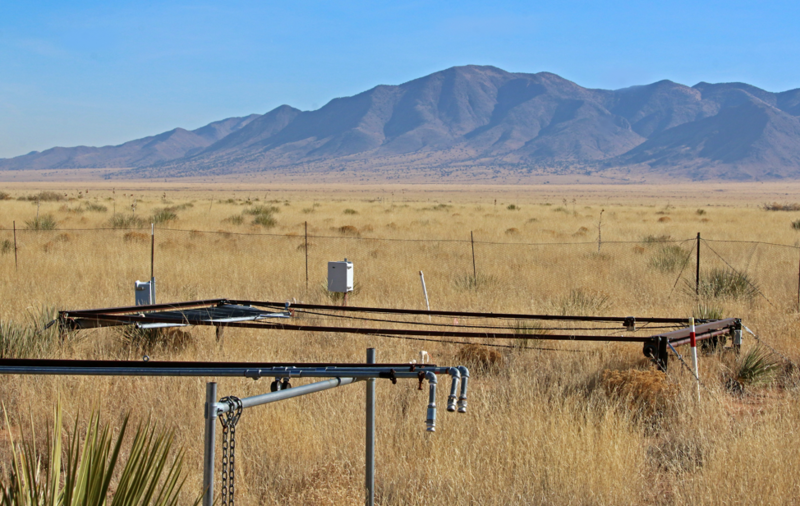 In the next 1-2 years we plan to construct large-scale (minimum 100 meter) irrigation transects that will allow us to simulate climatic pulses, such as extreme precipitation events, increased total winter precipitation, decreased intervals between precipitation events, etc. to test a variety of ecological hypotheses. We are in the process of increasing core research activities in areas of more complex mixed-species assemblages to better understand transition dynamics in this aridland ecosystem. 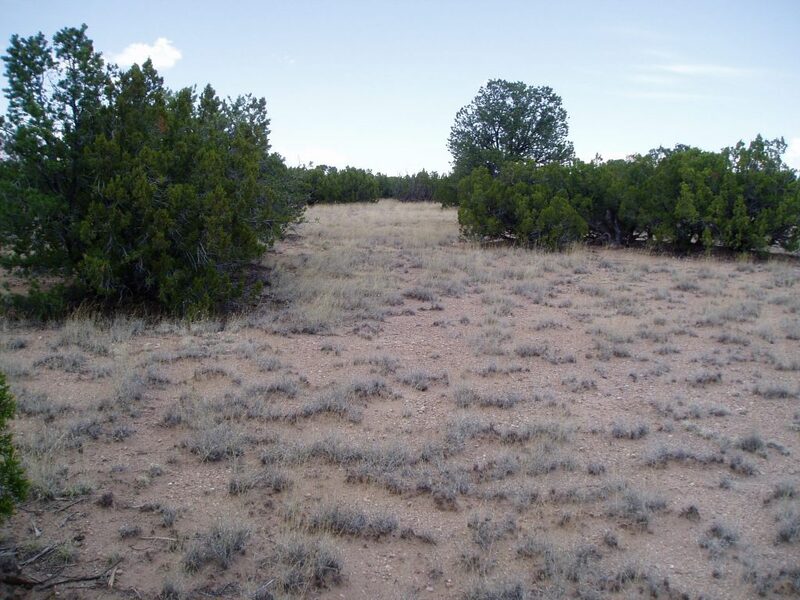 Also, we are revitalizing core research sites in the piñon-juniper woodland. Seek additional funding. We will continue to seek external funding to allow us to expand our research efforts in the piñon-juniper woodland and bosque forests. We will explicitly increase our research to gain a much-improved knowledge of pattern and controls of net primary production, particularly in the grassland and forest areas. 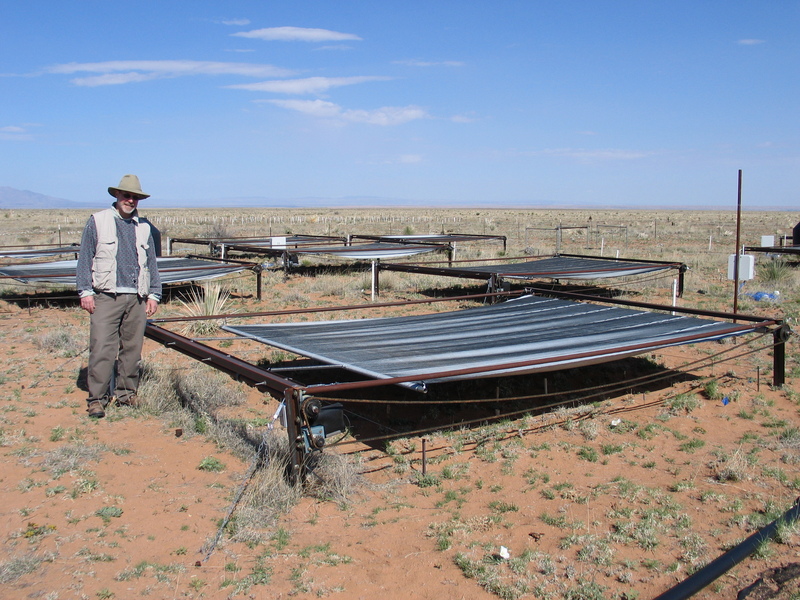 Along with these research goals, we will greatly expand our species-scale micrometeorological network of wireless sensors to generate a small-scale, wireless, real-time sensor grid for the measurement of soil moisture, relative humidity, soil and air temperatures, and solar radiation. This will be coupled with integrated process-based measurements. Together we anticipate that these sensor networks will allow us to achieve a more integrated understanding of ecosystem dynamics. This will facilitate linking ground-based and remotely sensed data, currently a significant research challenge in any system, as a means of scaling up from plot to site to region. LITERATURE CITED Archer, S.R. 1989. Have Southern Texas savannas been converted to woodlands in recent history? American Naturalist 134: 545-561. Bartolino, J.R. and J.C. Cole. 2002. Ground water resources of the Middle Rio Grande Basin, New Mexico. US Geological Survey, Circular 1222. Bhark, E. W., and E. E. Small. 2003. The relationship between plant canopies and the spatial variability of infiltration in grassland and shrubland of the northern Chihuahuan Desert, New Mexico. Ecosystems 6: 185-196. Cadenasso, M. L., M. M. Traynor, and S. T. A. Pickett. 1997. Functional location of forest edges: gradients of multiple physical factors. Canadian Journal Forest Research 27: 774-782. Dahm, C.H., J. R. Cleverly, J.E.A. Coonrod, J.R. Thibault, D.E. McDonnell and D.J. Gilroy. 2002. Evapotranspiration at the land/water interface in a semi-arid drainage basin. Freshwater Biology 47: 831-843. Davies, K. F., B. A. Melbourne, and C. R. Margules. 2001. Effects of within- and between-patch processes on community dynamics in a fragmentation experiment. Ecology 82: 1830-1846. Ernest, S.K.M., J.H. Brown, R.R. Parmenter. 2000. Rodents, plants, and precipitation: spatial and temporal dynamics of consumers and resources. Oikos. 88:470-482. Friggens, M.T. 2003. 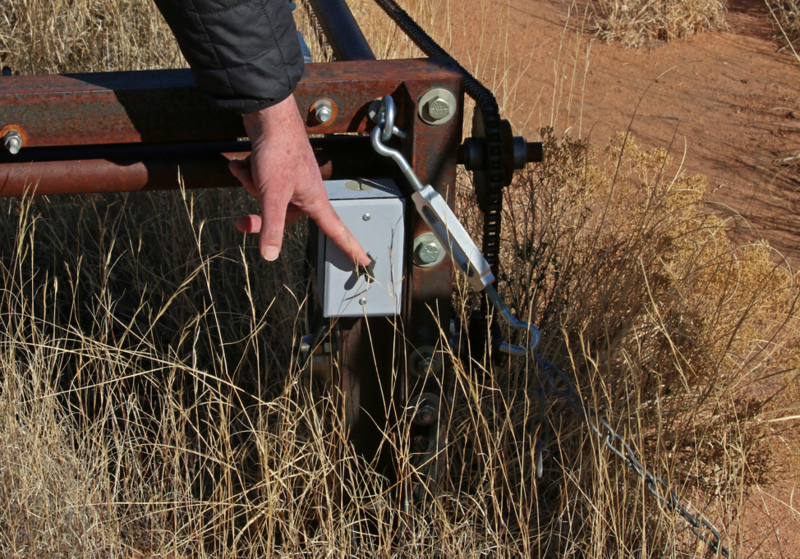 Relating small mammal dynamics to precipitation and vegetation on the Sevilleta National Wildlife Refuge, New Mexico. MS Thesis, University of New Mexico. Gosz, R.J., and J.R. Gosz. 1996. 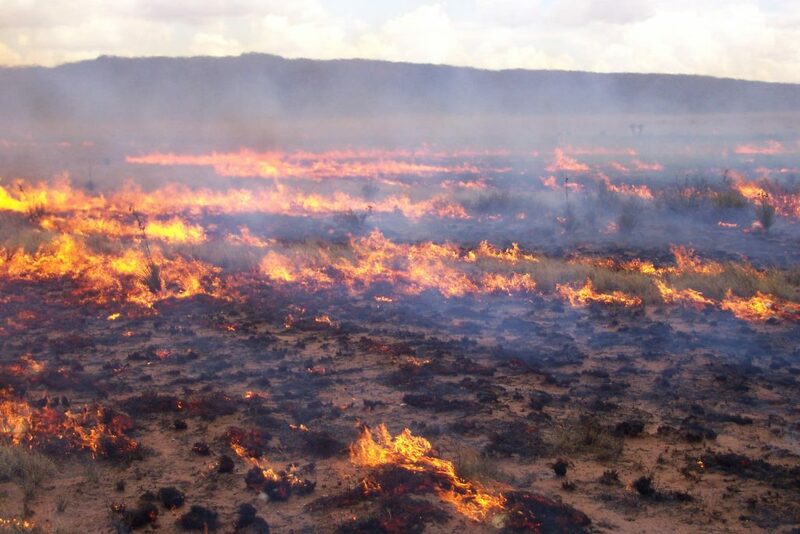 Species interactions on the biome transition zone in New Mexico: Response of blue grama (Bouteloua gracilis) and black grama (Bouteloua eriopoda) to fire and herbivory. Journal of Arid Environments. 34:101-114. Gutzler, D.S., D.M. Kann and C. Thornbrugh. 2002. Modulation of ENSO-based long-lead outlooks of Southwest US winter precipitation by the Pacific Decadal Oscillation. Weather and Forecasting 17: 1163-1172. Hobbie, J.E., S.R. Carpenter, N.B. Grimm, J.R. Gosz, and T.R. Seastedt. 2003. The US Long Term Ecological Research Program. BioScience 53: 21-32. Kieft, T.L., C.S. White, S.R. Loftin, R. Aguilar, J.A. Craig, and D.A. Skaar. 1998. 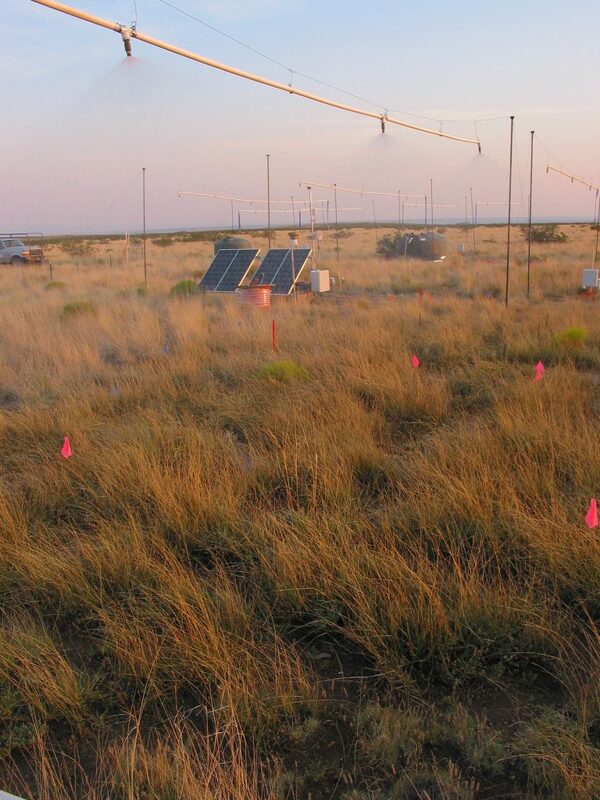 Temporal dynamics in soil carbon and nitrogen resources at a grassland-shrubland ecotone. Ecology. 79(2):671-683. Li, B.-L. 2000. Fractal geometry applications in description and analysis of patch patterns and patch dynamics. Ecological Modelling. 132:33-50. Li, B.-L. 2002. A theoretical framework of ecological phase transitions for characterizing tree-grass dynamics. Acta Biotheoretica. 50:141-154. Mittelbach G.G., C.F. Steiner, S.M. Scheiner, K.L. Gross, H.L. Reynolds, R.B. Waide, M.R. Willig, S.I. Dodson and L. Gough. 2001. What is the observed relationship between species richness and productivity? Ecology 82: 2381-2396. Milne, B.T., et al. 2003. Multidecadal drought cycles in South-central New Mexico: Patterns and Consequences, In: D. Greenland, D. Goodin, R. Smith editor(s). 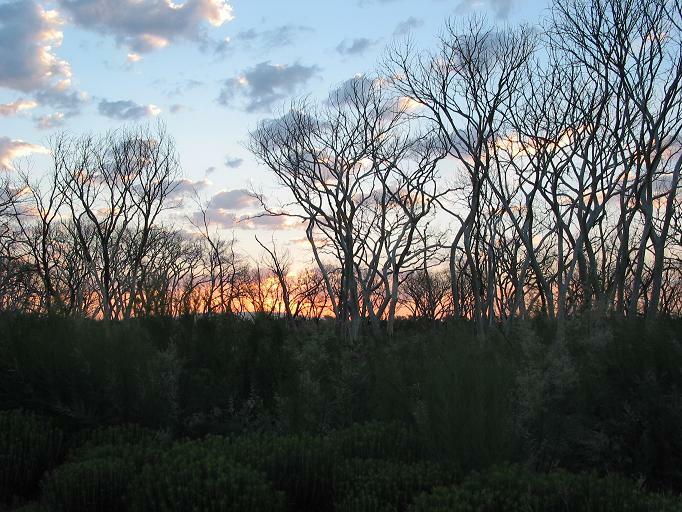 Climate Variabililty and Ecosystem Response at Long Term Ecological Research (LTER) Sites. Oxford University Press, New York, in press. Peters, D.P.C. 2002. Plant species dominance at a grassland-shrubland ecotone: an individual-based gap dynamics model of herbaceous and woody species. Ecological Modelling. 152:5-32. Peters, D.P.C. 2002. Recruitment potential of two perennial grasses with different growth forms at a semiarid-arid transition zone. American Journal of Botany. 89:1616-1623. Peters, D.P.C., J.R. Gosz, R.R. Parmenter, W.T. Pockman, E.E. Small and S.L. Collins. Submitted. Understanding biotic transitions at multiple scales: integrating patch dynamics with ecotone theory. BioScience. Pickett, S.T.A., and M.L. Cadenasso. 1995. Landscape ecology: spatial heterogeneity in ecological systems. Science 269: 331-334. Pickett, S.T.A., M.L. Cadenasso, and C.G. Jones. 2001. Generation of heterogeneity by organisms: creation, maintenance, and transformation. Pages 33-52 In: M.L. Hutchings, E.A. John, and A.J.A. Stewart, eds. Ecological consequences of habitat heterogeneity. Blackwell, London. Pickett, S.T.A., and J.N. Thompson. 1978. Patch dynamics and the design of nature reserves. Biological Conservation 13: 27-37. Pickett, S.T.A., and P.S. White, eds. 1985. The ecology of natural disturbance and patch dynamics. Academic Press, Orlando, FL, USA. Schlesinger, W.H., J F. Reynolds, G.L. Cunningham, L. Huenneke, W.M. Jarrell, R.A. Virginia, and W.G. Whitford. 1990. Biological feedbacks in global desertification. Science 247: 1043-1048. Seastedt, T.R. and A.K. Knapp. 1993. Consequences of non-equilibrium resource availability across multiple time scales: the transient maxima hypothesis. American Naturalist 141: 621-633. Waide, R. B., M. R. Willig, G. Mittelbach, C. Steiner, L. Gough, S. I. Dodson, G. P. Juday, and R. R. Parmenter. 1999. The Relationship Between Primary Productivity and Species Richness. Annual Review of Ecology and Systematics. 30:257-300. White, C.S., D.I. Moore and J. A. Craig. Submitted. 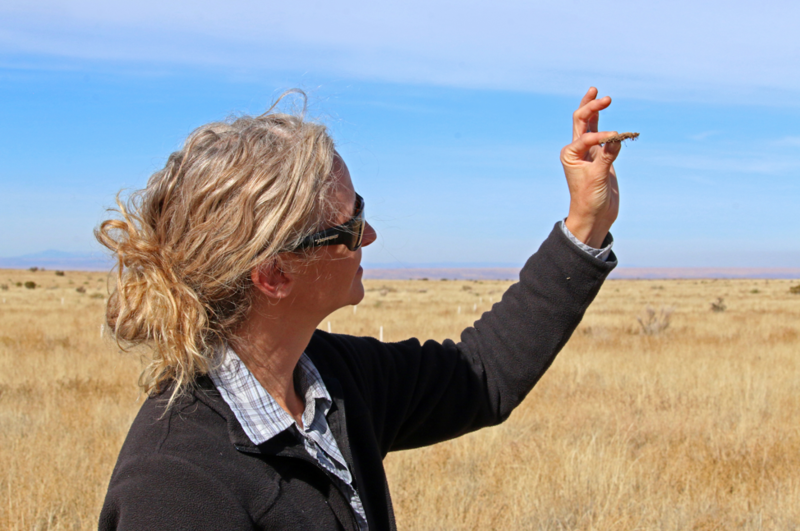 Regional scale drought increases potential soil fertility in semi-arid grasslands. Biology and Fertility of Soils. Weltzin, J. F., and G. R. McPherson. 1999. Facilitation of conspecific seedling recruitment and shifts in temperate savanna ecotones. Ecological Monographs 69: 513-534. Wiens, J. A., C. S. Crawford, and J. R. Gosz. 1985. Boundary dynamics: a conceptual framework for studying landscape ecosystems. Oikos 45: 421-427. Yates, T. L., J. N. Mills, C. A. Parmenter, T. G. Ksiazek, R. R. Parmenter, J. R. Vande Castle, C. H. Calisher, S. T. Nichol, K. D. Abbott, J. C. Young, M. L. Morrison, B. J. Beaty, J. L. Dunnum, R. J. Baker, J. Salazar-Bravo, and C. J. Peters. 2002. The ecology and evolutionary history of an emergent disease: Hantavirus pulmonary syndrome. BioScience. 52:989-998. Zak, D.R., D. Tilman, R.R. Parmenter, C.W. Rice, F.M. Fisher, J. Vose, D. Milchunas, and C.W. Martin. 1994. Plant Production and Soil Microorganisms in Late-Successional Ecosystems: A Continental-Scale Study. Ecology. 75(8):2333-2347. 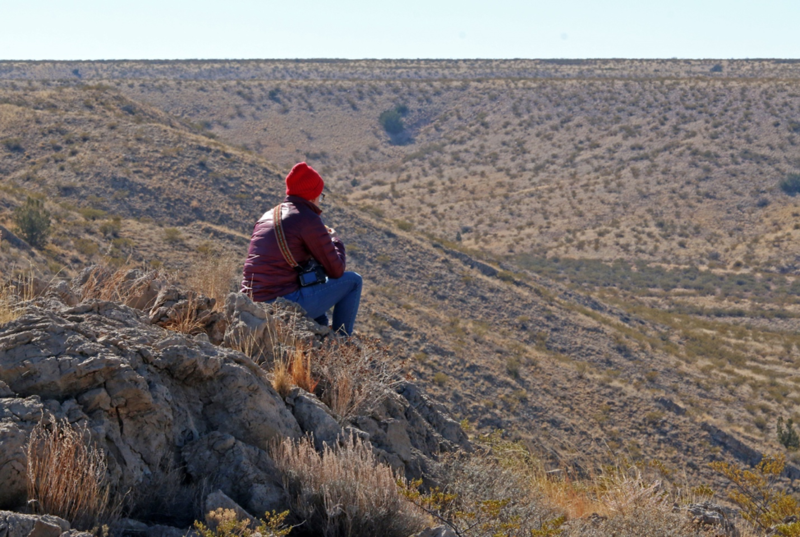 The Sevilleta LTER was initiated as the Sevilleta National Wildlife Refuge, a former Spanish land grant now administered by the U.S. Fish and Wildlife Service (FWS). 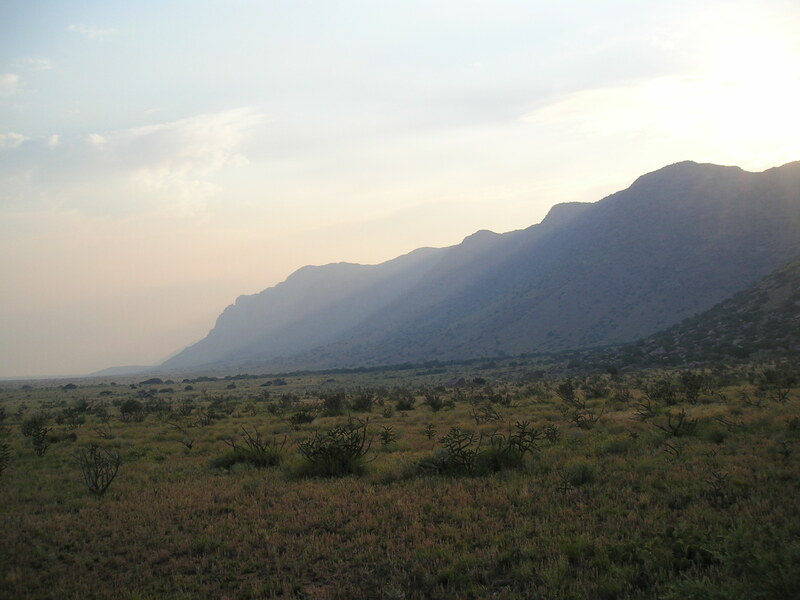 The research area encompasses approximately 3,600 square kilometers and ranges from Rio Grande riparian forests (bosque) and Chihuahuan Desert up to subalpine forests and meadows. 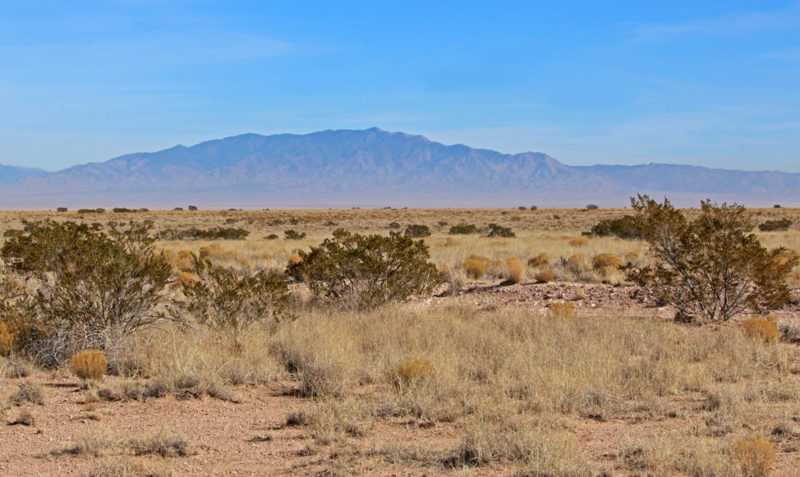 Because the Sevilleta LTER is a transition zone for a number of biomes, the area cannot be easily or conveniently characterized. This convergence of biomes, however, has created an important research area for geology, hydrology, archeology, atmospheric science, biology, and ecology for many decades.